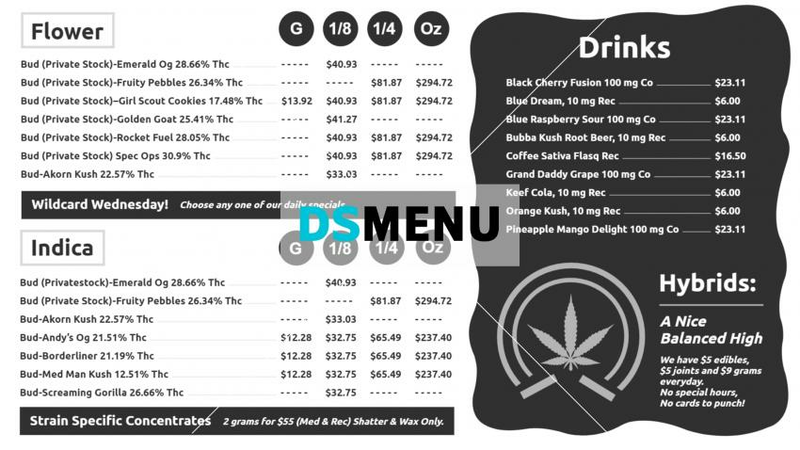 This marijuana menu board has a clear, crisp, and elegant design. That the colors of white and black can be used so brilliantly is evident from the board’s sheer elegance. The black rectangular patch on the right with a white typeface contrasts excellently with the white background and black typeface on the other side of the menu board. The menu listing is well structured and lettering size perfect. A real steal, this one !